If you haven’t heard already, the Samsung Note 7 has a bit of an exploding problem… Originally news broke approximately 6 weeks ago about Note 7 devices catching fire while being charged, at first the stories seemed like exaggerations similar to other wild “bug” reports about newly released smartphones, however the plot turned for the worse when a Florida man’s Jeep caught on fire and it was confirmed that the Note 7 was the cause. Around the time the man’s Jeep caught on fire, Samsung began to suit up into full damage control. Samsung was quick to blame its internal battery supplier for producing unsafe batteries which were susceptible to overheating and catching fire. Samsung mentioned that it would no longer source batteries for the Note 7 from its own internal battery division and instead it contracted with a competitor, who also sells batteries to Apple for the iPhone, and switched its battery unit completely. Samsung was quick to offer full replacements for the Note 7, they’d even send the replacement via airmail at no additional cost… Samsung was worried about other things catching fire, and they wanted this nightmare over as fast as possible to stop the company bleeding billions of dollars in stock market values. 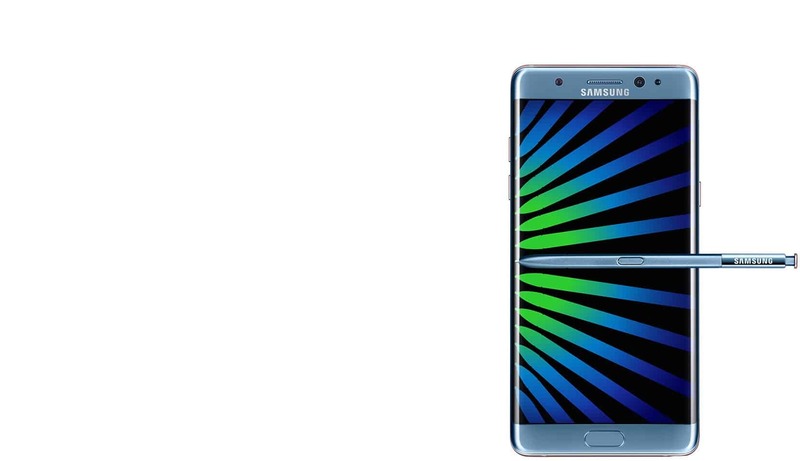 Lucky for Samsung the hit their stock took was quickly reversed by news that over 90% of original Note 7 owners had opted for a replacement Note 7. Things were looking up and it seemed that the exploding Note 7 debacle might just be behind them. Fast forward about 4 weeks and at least 3 confirmed reports were received by Samsung that its replacement Note 7, yes the phone with a completely different battery unit, was not only catching fire but exploding now! Obviously Samsung began to panic, how in the world could the updated model still have these issues when Samsung knew how dangerous this could be for them? Today Samsung was forced to halt all production of the Note 7 indefinitely, the news came after AT&T and T-Mobile both announced they would no longer sell the phone. How much will this cost Samsung to halt Note 7 production? If Samsung’s original estimates are correct, it expected to sell approximately 12 million Galaxy Note 7 devices this year. Given that most smartphones have a sales lifetime greater than 1 year, we could expand this figure for multi-year sales, however let’s keep it simple AND conservative by basing our calculations off Samsung’s 1st year estimate. Given that the off-contract Note 7 sold for $799 – $849 USD I’ll use an average sales price of $825 per unit. This same average price would apply to bulk sales to carriers such as Verizon, however we need to estimate a discount Samsung would offer its bulk customers. While it’s unlikely Samsung would offer a discount of greater than 25% (margins in electronics are very tight compared to other industries), we’ll conservatively estimate that carriers could buy the Note 7 with a 33% discount for just $550 per unit. Doing the math I estimated that Samsung expects to lose at least $6.77B USD from the exploding Note 7 disaster within the first year of sales alone. Keep in mind that this is only lost sales revenues, this figure doesn’t even include all of the research and development costs that Samsung spent on building the Note 7! While the six billion in lost sales is significant, only time will tell if this figure pales or not in comparison to the goodwill Samsung will surely lose with its customers. What are your thoughts on the exploding Note 7 issue? Do you still trust Samsung to build your next device? Vote below now! 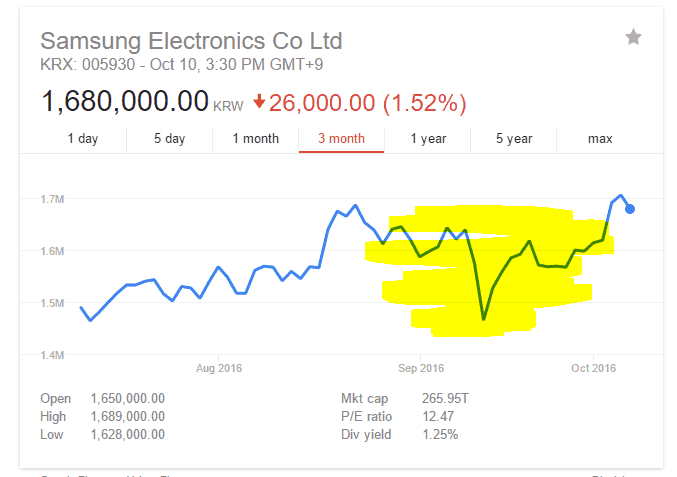 This entry was tagged Cost, Lost, Note 7, Revenue, Sales, Samsung. Bookmark the permalink. ← Does Anyone Care About the Google Pixel Phone After Today? Hey….it’s “pales in comparison”. Also, it’s funny: I got to your site via an inquiry of “how much did Samsung lose…” I also calculated about $5B. Thanks for the edit, put it in. Nice, glad you found about the same as I did. Imagine a pile of $6.7B worth of Note 7’s… It’d be huge!